As a day spa owner, you want to give your patrons the most memorable and deluxe experience possible. This includes a wide variety of luxury spa amenities to suit a similarly wide variety of tastes. Enhancing your spa with new features will excite loyal customers and introduce new ones to the superior atmosphere you offer. Your guests will feel they are on a pampered mini-vacation, worlds away from the stresses and cares of everyday life. By incorporating new amenities, you’ll be able to cater to more sophisticated tastes, putting together packages in a variety of price points. With word of mouth and online reviews, new features can translate to an increase of visitors, and you’ll earn back your investment in short order, becoming the clear choice of local clients as well as those vacationing in your area. You’re probably already offering such mainstays like facials, massages, and mani-pedis. What you want to consider is how to make your day spa distinctive, encouraging repeat visits and bringing in new patrons. Consider some of the following ideas to “up your game” and create the best possible experience. Indulgence starts at reception. Subdued lighting or bright rays of sunshine, soft music or sounds from nature, incense, beautiful flowering plants, and a sincere smile at the front desk set the scene for relaxation. Having a comfortable place for your guests to immediately change into soft robes and slippers makes them feel pampered from the moment they walk through the door – as will a welcoming drink of cucumber or lemon water or a soothing cup of herbal tea. You’ll want them to be able to hang up their street clothes and secure their belongings – and hopefully, leave their cell phones behind, too! If they need to wait for their treatment, you don’t want your reception area to feel like a waiting room. Some spas have separate relaxation areas for their clientele, or a space where they can lounge or even lie down in comfort, closing their eyes and drifting away from daily cares. Making your spa a destination where your clients will want to linger is a key to increased revenue and happy clients. A well-designed flow is crucial to making your customers feel they have escaped from stress. Every room should be well-appointed, spotlessly clean, and offer social areas for mingling or private areas such as relaxation rooms where your clients can meditate. Offering special amenities that promote health and wellness – a gym equipped for yoga and exercise, comfortable rooms for workshops and lectures on health and lifestyle, and demonstrations on the latest wellness products – can bring new clientele into your spa and introduce them to the other services you offer. As a spa owner or manager, you definitely want to consider additional sources of income. One is a well-stocked boutique, full of specialty wellness products that your clients can purchase to use at home, a constant reminder of that happy feeling they enjoyed while at your spa. Many of your guests may have a vested interest in the environment – and you should, too. Selecting environmentally conscious beauty products will go a long way in making your customers feel good about their choice to come to your spa. Another potential revenue stream is a café that offers beverages and light meals. Not only will this encourage your patrons to stay for longer than just their treatment time, but they may invite their friends to join them there. Also, consider an in-spa beauty salon, where your guests can complete a period of relaxation with a makeover and hair style that makes them look and feel as beautiful on the outside as their spa day made them feel on the inside. If you are lucky enough to have outdoor grounds, take advantage of them. Offering poolside treatments such as massages gives a whole new dimension to wellness. If your grounds include a wooded area, introduce your clients to the Japanese practice of “forest bathing,” where strolls through nature promote relaxation and rejuvenation. You can even bring a group together for a guided hike and meditation in the woods. Other outdoor spaces might include an herb garden for the freshest possible plantings to include in your herbal treatments, or a labyrinth for a meditative circuit. Some of the most up-to-date treatments you can offer do require special rooms and equipment. One of the most recent is the Himalayan salt wall, which includes more than 80 naturally occurring minerals and salts. Built of blocks of 100 percent pure Himalayan crystal salt, the purest and most beneficial variety on earth, this wall, when heated, boosts health by triggering the natural ionization process and allowing the air’s humidity to release ions that purify the air and help your guests reduce stress, increase energy, and boost their moods. This is a marvelous pre-therapy ritual. Water treatments, such as a deluge shower and rain tunnel, are also new innovations to consider. The deluge shower can decontaminate the body with one swift pull of the shower head, flooding the guest with complete water coverage. Massages have long been standard treatments at day spas, including hot stone and acupuncture massages. The advantages of massage are many, including relieving muscle tension and pain, reducing stress and promoting sleep, relieving the symptoms of autoimmune disease and cancer, and boosting immunity. Placing special aromatherapy bowls under the headrest helps your guests breathe in and relax. A HydroMassage water massage bed or lounge can give your guests the benefits of massage without the inconvenience of needing to undress. This specialized equipment uses heated water to provide a new type of massage experience and is great before or after a workout. Before an exercise session, it can help warm up muscles, while afterwards, it loosens muscles and reduces soreness. Of course, a steam shower, complete with spa therapy treatments, is an ideal addition to any spa. 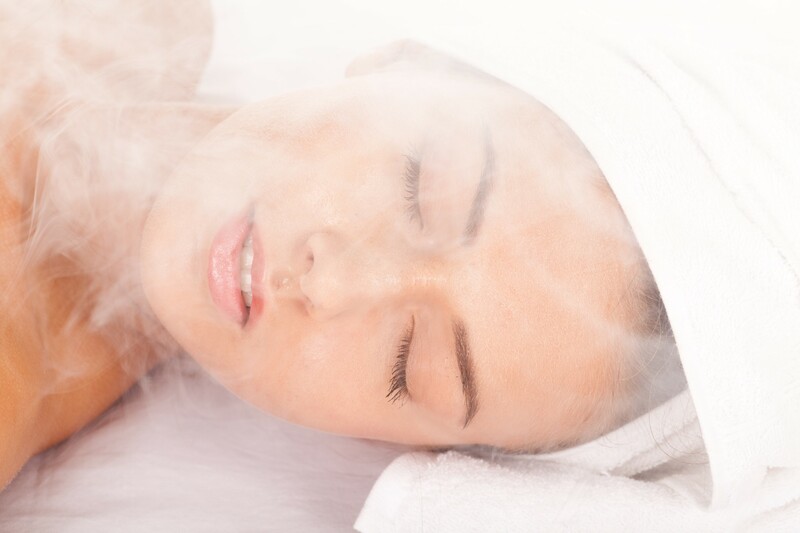 The spa guest who has undergone a beauty treatment or an intense exercise routine, or who is relaxed after a massage, will revel in the revitalizing, health-restoring qualities of a steam shower. This is especially true when you add some of the steam therapy options available to commercial spa operators – including aromatherapy, music therapy, and chromatherapy. It is one way to compete with the big name spas, at a relatively small expense and with an installation that is easier than you might think! See MrSteam’s Day Spa Systems web page to learn how we can help you select the steam shower that is just right for your needs. Investing in even some of these new ideas and luxury amenities for your day spa will demonstrate just how much you care about your clientele. And that type of pampering is exactly the environment a prospective customer looks for – and a loyal client returns to - time and again.